Cheers to Alex Eylar for creating this M.C. 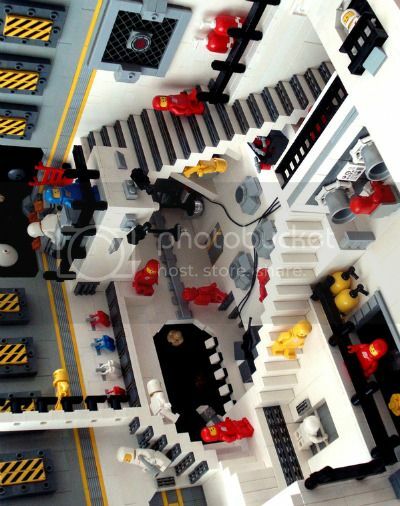 Escher-inspired Lego scene. Though the “outer space” theme somewhat mitigates for me the usual delightfully-mind-boggling nature of Escher’s work. I mean, astronauts are supposed to walk sideways in space, right? Via Brothers Brick, who doesn’t know about this whole “boggling” thing, but is always up for a good mind-buggering.